Our companies have partnered to bring you a fun filled week of projects and prizes, all you have to do is be sure to visit each of our blogs this week and leave a comment on both to win. Easy, right? Hello everyone! Today I am so excited to share this card I created! Quick Quotes and Clear Scraps, two of my favorites, teamed up together to showcase some awesome and new release products they offer. Since the holidays are just around the corner, this is a great start for all those to do list. 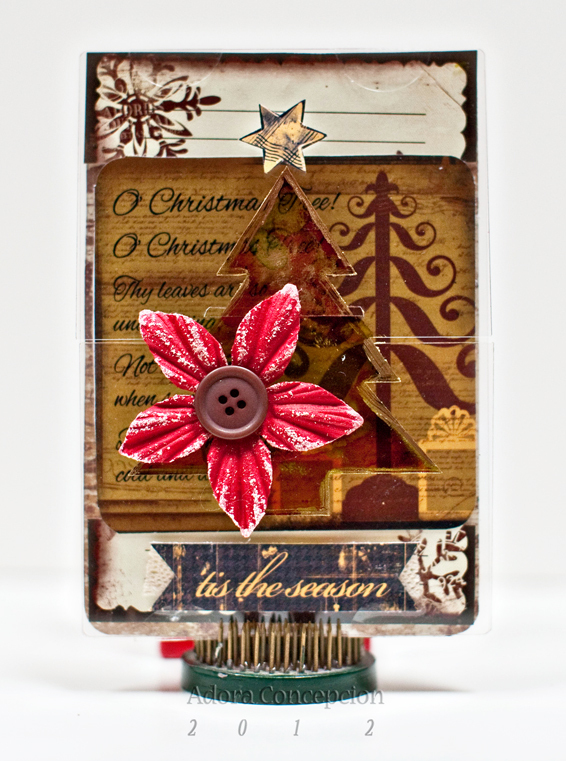 Other Supplies used; Adirondack Alcohol Ink, Prima Flower and Adhesive. Adorable holiday card. Love the colors. Beautiful card . 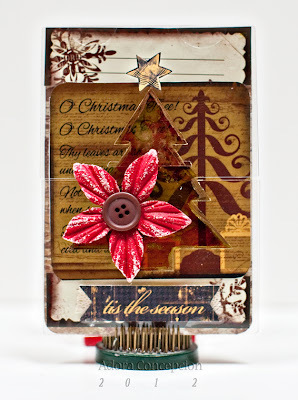 I love the vintage feel of the QQ Crackling Rose collection and the CS X- Mas tree look great together . TFS . beautiful card. tfs. i'm already a follower. I 'm just not into the clear stuff. but I will be here to see the review. I personally just can't work with it, but I admire all those who can. I love it so far beautiful card. I am really intrigued by the clear cards and other things. I'd love to be able to play with some. This card is fantastic. LOVE the card! LOVE the 2 trees mixing the 2 different designs! I love the combination of two of my favorite companies. Cannot say I have worked with Clear Scrap products, but I am liking what I am seeing. This card looks so unique with the addition of the tree from Clear Scraps. Cannot wait to see the rest of the projects this week. Love the card....love the 2 companies so it's a perfect match with gorgeous results! 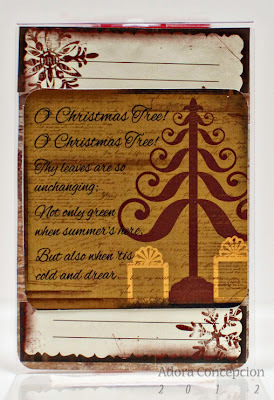 Love the card you created with Clear Scraps and Quick Quotes! It's gorgeous! I am in love with this paper. That tree with the swirls is just darling. Can't wait for the rest of the week. Completely Adorable. I love both pieces...and Love all those photos. It's the only way to really see something fully. Great job all around. What a really innovative Christmas card! Love the cut out!